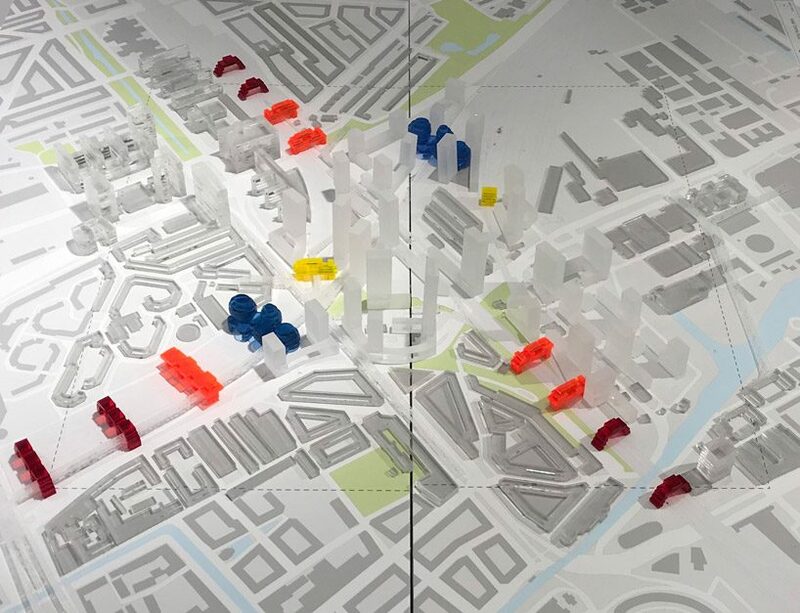 architecture in the netherlands surveys the contemporary condition of the country’s built environment, showcasing a range of innovative projects that work with their waterways and the diverse materials and unconventional forms employed in their construction. 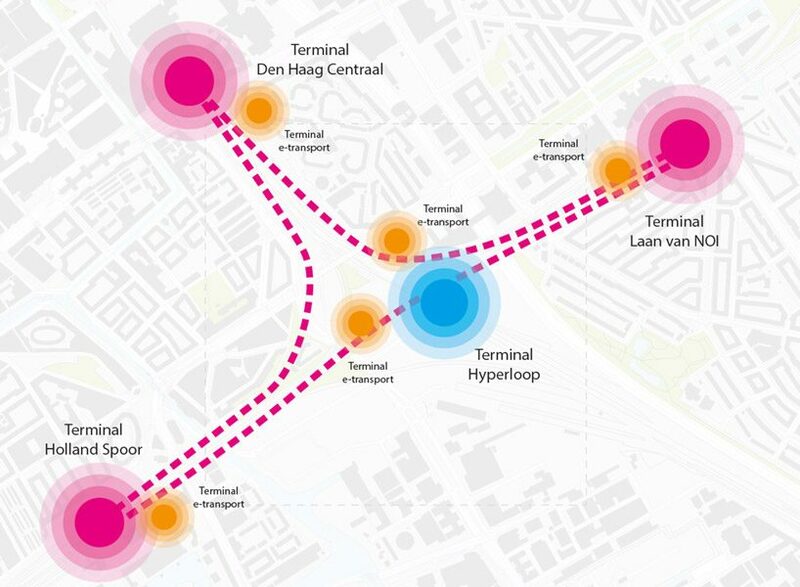 founded in 1988, UNStudio is a network of specialists in architecture, urban development and infrastructure led by dutch architect ben van berkel. they employ 200 staff from 27 countries that are spread across three full-service international offices in amsterdam, hong kong and shanghai. 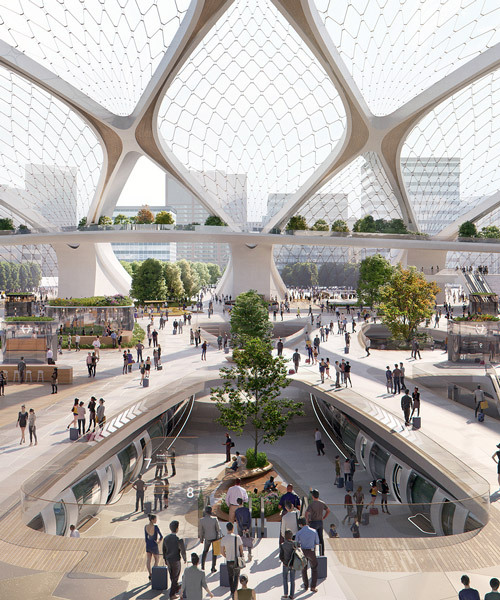 UNStudio, in collaboration with a multidisciplinary team of experts, – has created ‘socio-technical city’ as a new urban vision for the ‘central innovation district’ (CID) test site in the hague. 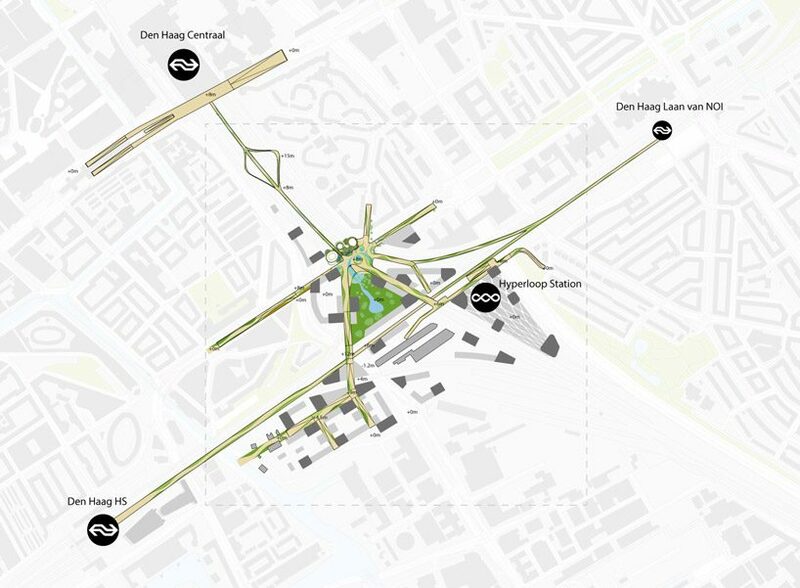 the CID test site covers a 1 x 1 km area in the centre of the hague; currently a major infrastructure hub within the triangle of the hague central station and two nearby stations, but in the future vision of the socio-technical city it becomes a green, self-sufficient double-layered district, where a new urban layer of housing, offices, urban mobility and park-like public space is composed over the existing train track infrastructure. 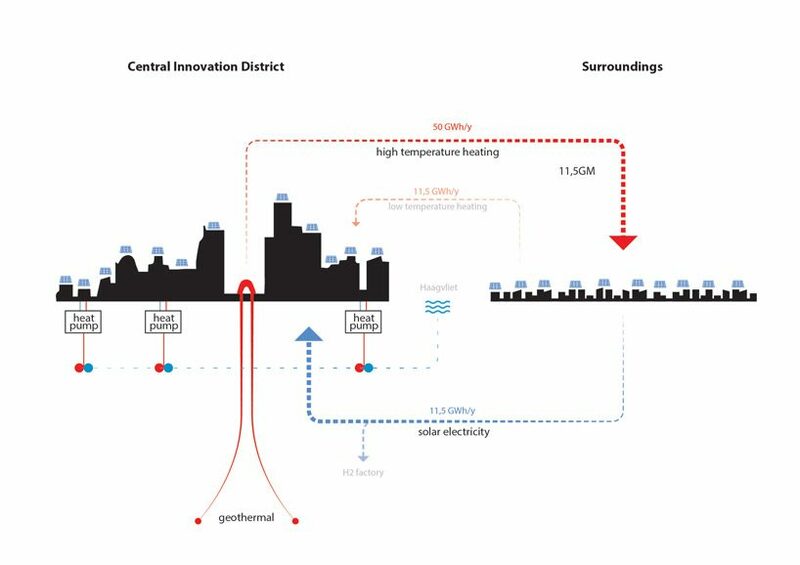 UNStudio’s concept for the ‘socio-technical city’ combines the two largest challenges facing the future of cities – urbanisation and sustainability – and focuses specifically on the questions: how can an area like the CID, despite extremely high density in the future, be self-sufficient and energy-neutral? what does such an urban district look like? and how can you connect the technology that is required with the people who live and work there? 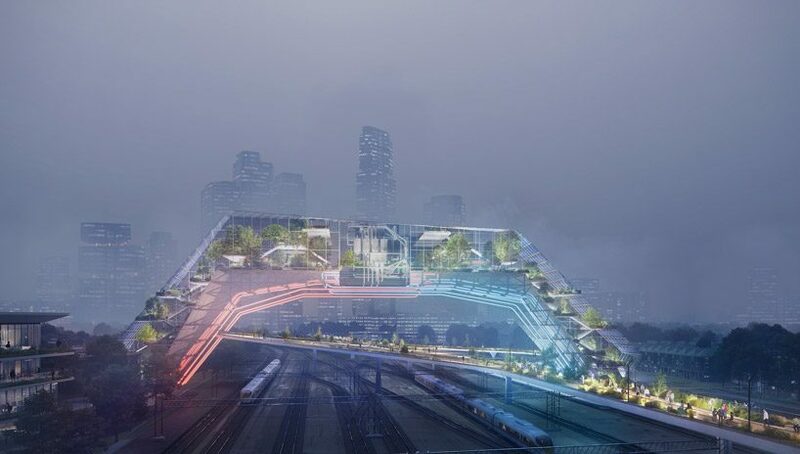 with the elevated urban layer covering the existing railway tracks, UNStudio’s urban vision distinguishes a number of technical ‘domains’, which refer to the major transition issues of our time: energy, circularity, mobility, climate adaptation / water management and food production. 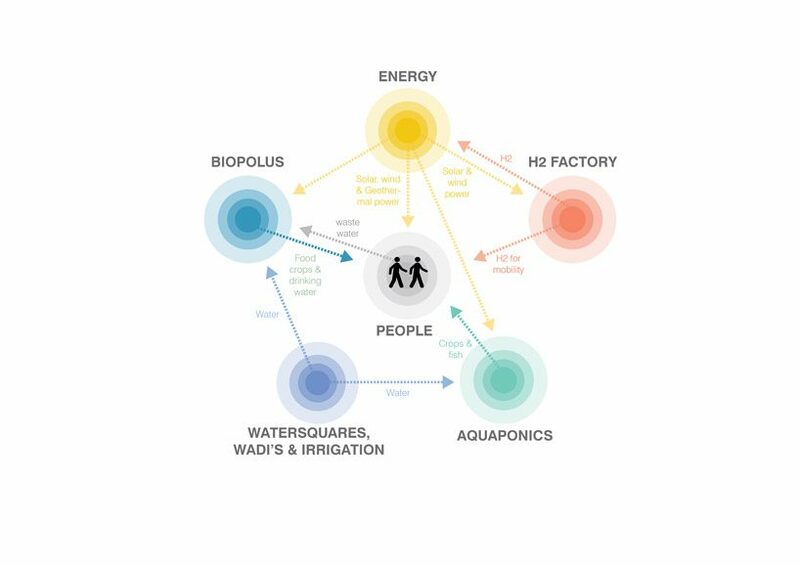 these domains are then each envisioned as ‘gateways’: physical architectural interventions that offer practical solutions to the problems as well as functioning as attractive symbols for the specific themes – a geothermal power station as an icon for energy transition, a (hyperloop) station as a landmark for mobility, a biopolus water treatment plant as a symbol for circularity. 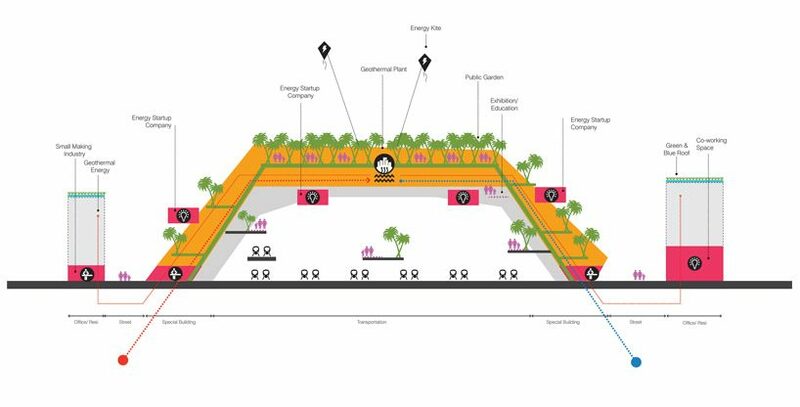 the socio-technical city bridges the gap between infrastructure and technology on the one hand, and quality of life and social well-being on the other. 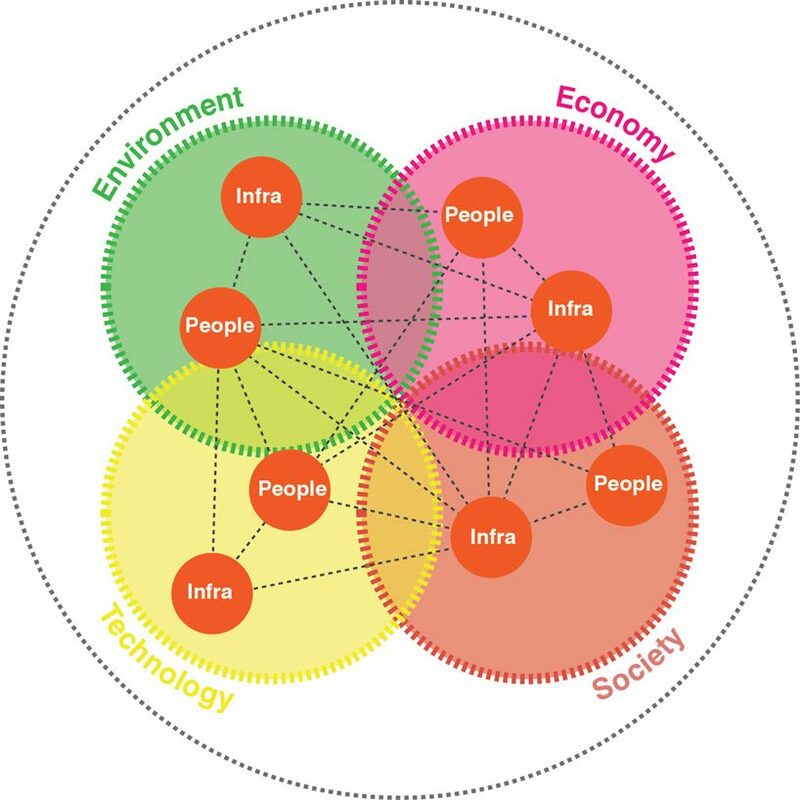 the model of the gateways is based on the idea that interaction is a requirement for innovation. 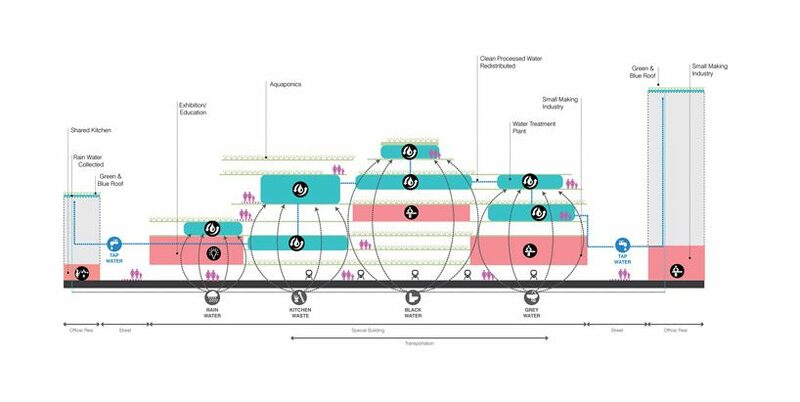 the gateways form catalysts for meeting; they connect neighbourhoods and people and thus form breeding grounds for innovation.